Quirepace have developed a specialised swarf vacuum cleaner collection system designed to handle plastic and resin swarf recovery applications. Developed from demands from a customer with a particular problem to solve, the BVC Swarf Vacuum Collection System brings together several different elements into a special configuration specifically designed to handle swarf created in the processes of machining plastics and resins. The unit is comprised of 3 modules. First a cyclonic separator recovers the heavier particles into a large capacity drum lined with a plastic bag insert. The bag is kept inflated using a special balanced pressure system allowing correct recovery and easy emptying. The second module in the unit is a filter module, which recovers any lighter particles that have come through the initial separator. 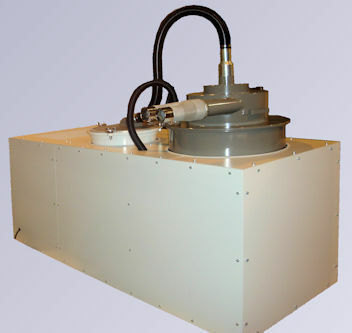 This second recovery unit is also easy to empty and ensures that particles cannot go through the exhauster. The vacuum pump itself is a BVC multistage unit which provides exceptional performance in an extremely robust unit. Like all BVC multistage vacuum pumps, the separate motor and pump elements are connected by drive belts where the gearing can be adapted in order to obtain the correct air flow and pressures for the particular application. 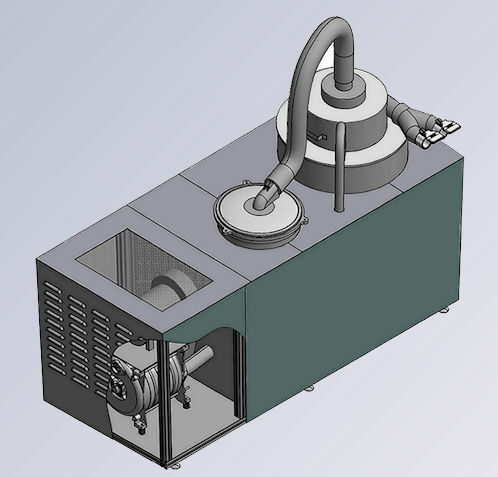 The unit illustrated is self contained, but the overall application is flexible and can be configured with differently sized components as necessary. 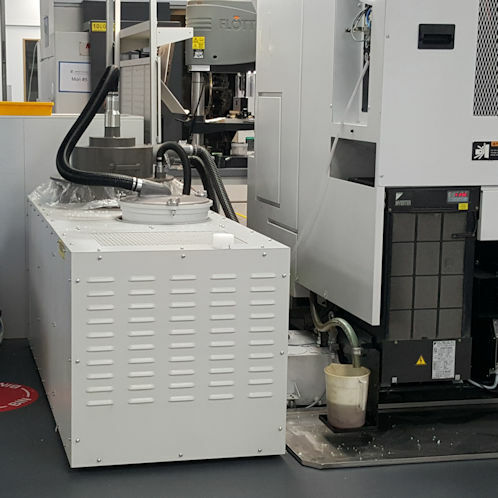 Wherever machining processes create waste material that must be recovered or cleaned, Quirepace can provide either a standard solution from our range of BVC vacuum cleaning machines, or as here, develop a special machine to solve a particular swarf cleaning problem. To find out how we can help your company solve your cleaning problems, contact us today.